There is no doubt that a well designed and effectively executed sales and customer service training program can dramatically improve the results of your tire and auto service business. Improved customer relations and retention, increased employee productivity with higher sales win rates, less discounting, and more profitable sales are just a few key benefits of a successful training program. Unfortunately, countless tire and auto service businesses spend large amounts of precious time and dollars on sales training that doesn’t produce the desired gains and ultimately fails. Often a tire and auto service business will conduct a training program, either internally or with an outside resource, and participants come away feeling that the content does not apply to them or their role. This disconnect is a recipe for disaster. To maximize benefits and overall success, it is critical that a training program is directly applicable to your business and the attending audience. Accordingly, the training must go well beyond the conceptual and provide practical real-world strategies, processes and techniques that directly apply to the performance challenges your employees are facing. Special focus should be placed on communication skills and process training to effectively manage phone interactions with customers and potential customers. Any type of training is only as good as the trainer providing it. For training to effectively produce meaningful and sustainable gains, the participants must first be engaged with the trainer. Many otherwise good programs fail because the attendees were not really engaged, became bored and tuned out long before any real gains were made. Full disclosure: My business provides training and sales support for many of the best tire dealers in the country. 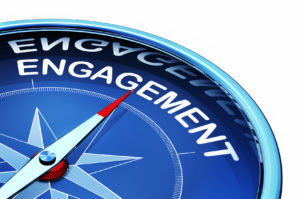 It is no accident that the first element in my Pinnacle Performance Credo is ENGAGE. When considering an investment in training, you should make the who will be conducting the program a priority. Often owners and their executive managers will sweat the what and where details of training and give relatively little consideration to the importance of who will be conducting their program. Seeking a solution, an existing employee will often be appointed to conduct training. This arrangement presents a significant challenge as this person is already perceived, for better or worse, as something else in the company. Typically, the tasked individual is an existing manager and, although they may be outstanding in that role, training is almost never their primary purpose or skill-set. Their well-intentioned efforts naturally don’t carry the weight nor have the desired impact with employees as would a reputable training authority from outside of the company. If you cannot see, feel, and experience employee engagement with the trainer on the first training, that’s a clear warning sign you’re heading down the wrong path and quite likely doomed to fail. In a nutshell: engagement first, everything else second. Although a well-designed sales process is essential, too many salespeople are taught the steps of what to do without truly understanding the why of the strategy and the psychology behind the process. This lack of why often leads to a counterproductive situation of compliance; employees follow the sales process only because it is policy, rather than buying in and truly understand the meaning of the principles that support the process. If you’re looking to succeed at the highest level, sales/customer service training should be a consistent part of your culture. All too often sales/customer service training is treated as an event. A business conducts in-house training and, assuming it was good, participants get energized with new insight, techniques, and tools. With no real follow-up program in place, participants soon fizz out and return (at varying speeds) to the same level of performance they were at prior to training. Training research has revealed that without ongoing reinforcement, 90% of what is learned is forgotten within 60-90 days. Like physical fitness, it doesn’t matter how good your workout at the gym is today. 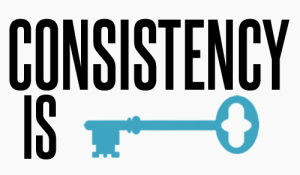 If you don’t continue to exercise on a consistent basis, you will never truly get in and stay in shape. A big part of the problem is many owners and managers adopt a been-there-done-that attitude when it comes to sales/customer-service training. It sounds simplistic, but the fact is that training works with consistent training. The science of training confirms that true ownership of learning is created with consistent exposure, reinforcement and application of the skills over time. Recognizing this, world-class sales and customer-service companies typically engage their employees in 100 or more hours of training in their first year in addition to regular ongoing training in the years ahead. 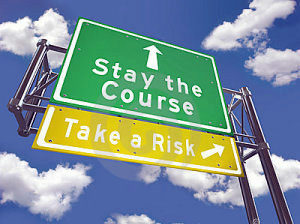 Staying the course goes hand-in-hand with consistency but deserves separate acknowledgment. Like the proverbial kid in the backseat saying “Are we there yet?,” many business owners and managers view training as a destination with the goal of getting there. Training should be viewed not as a destination but rather as an evolution. 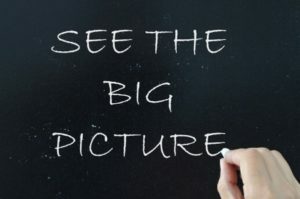 All too often, businesses will engage in “flavor of the month” type of training – never fully developing any one area, much less institutionalizing the principles and processes – before moving in a different direction. Odds of that happening are exactly zero, yet many business owners and sales managers do it regularly. They switch things up, fumble the ball, and ultimately miss the end zone. This lack of focus directly correlates to reason No. 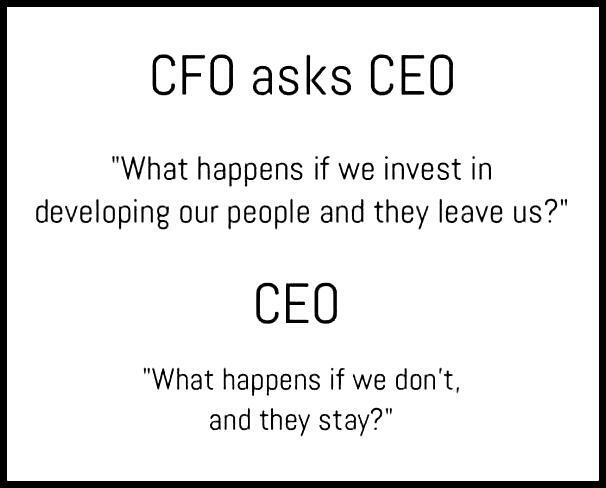 2, disengagement, with many participating employees not trusting the business will stay the course and see any program to fruition. 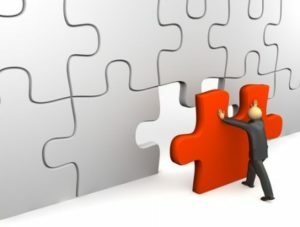 If management demonstrates they are not fully committed to stay the course with a successful program, then they shouldn’t expect their employees to be fully committed as they continue to introduce new initiatives to the mix. Proper training is an ongoing process of continuous professional development. Just like a professional sports team, your team must regularly practice and work on their game through a disciplined and committed training program if they are to consistently win in and for your business. This last reason is perhaps the most important. Very few tire/auto service businesses actually evaluate the effectiveness of their sales training. Without proper evaluation, it’s difficult to determine performance and hold salespeople accountable for changing and improving their behavior to improve results. The best way to measure the effectiveness of training and employees’ sales performance is to evaluate activity at the point-of-sale. As referenced in reason No. 1, special focus should be on evaluating phone process performance. The best way to manage employee performance on the phone is to record and evaluate customer calls. It’s important to note that many tire and auto service businesses, perhaps yours, are already recording their customer calls. If so, you’re only halfway there. The other half – the more important half – is monitoring and evaluating those calls on how well employees are meeting, or not meeting, the established selling system. In the case of my tire and auto service clients, we use award-winning call recording software with specific scorecards to evaluate and measure every element of the sales process as tailored for the business. Armed with the evaluation data, we can then pinpoint precisely where an employee is weak or missing key elements and provide the coaching to improve sales/customer service performance in real time. 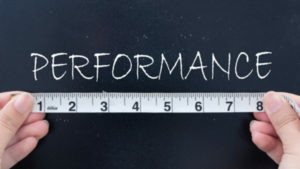 As renowned management consultant Peter Drucker said, “If you can’t measure it, you can’t manage it.” That is certainly true of sales and customer service training, and there’s no better way than evaluating employees’ real-time performance at the point-of-sale.